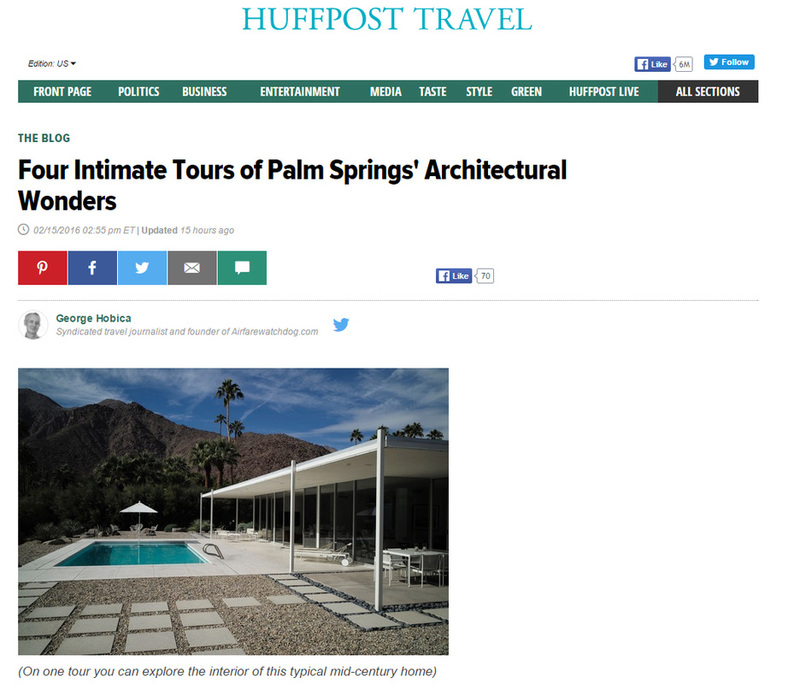 "With that in mind we felt it was only fitting to book a Palm Springs Mod Squad tour. Our guide Kurt Cyr was so entertaining and extremely knowledgeable on the history of Palm Springs and its stunning architecture. He also provided plenty of interesting facts about the town that we would never have known if we had tried self-driving on our own. For two hours Kurt’s tales enraptured us as we feasted our eyes on mid-century landmarks by William Cody, Richard Neutra, Donald Wexler, John Lautner and Albert Frey. 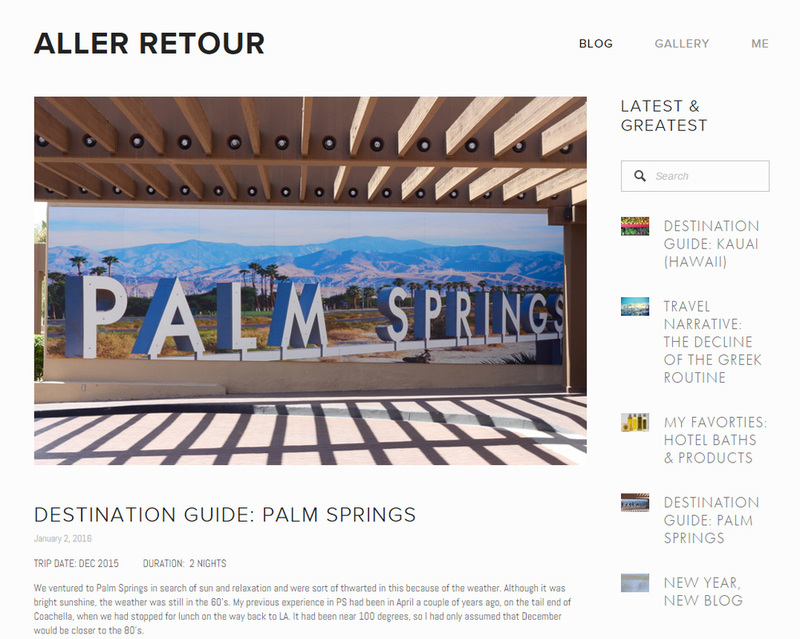 I loved Kurt’s tour and he also informed us that many of Palm Springs original designers stayed and raised families in the city, some who remain to this day. 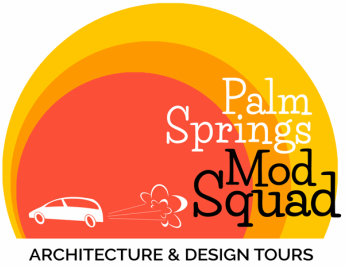 The Palm Springs Mod Squad Tour was the perfect way to see Palm Springs and one of the highlights of our trip, I highly advise taking this tour at the beginning of your stay to get a feel for the cities distinctive culture and history." "I did a bit of research online on architecture tours-- I knew that I wanted something fairly concise that would show us highlights of iconic residential and commercial Mid-Century Modern architecture. Most of the tours stretched to over 3 hours which conjured not so great images of being stuck in a hot van- but then I found Mod Tours, which seems far more reasonable at $60 per person for a 90 min tour. Kurt's tour had great reviews and we discovered the meeting point was just a 5 min walk from our hotel, at the Saguaro Hotel. The van was clean and comfortable and we were joined by two other guests. 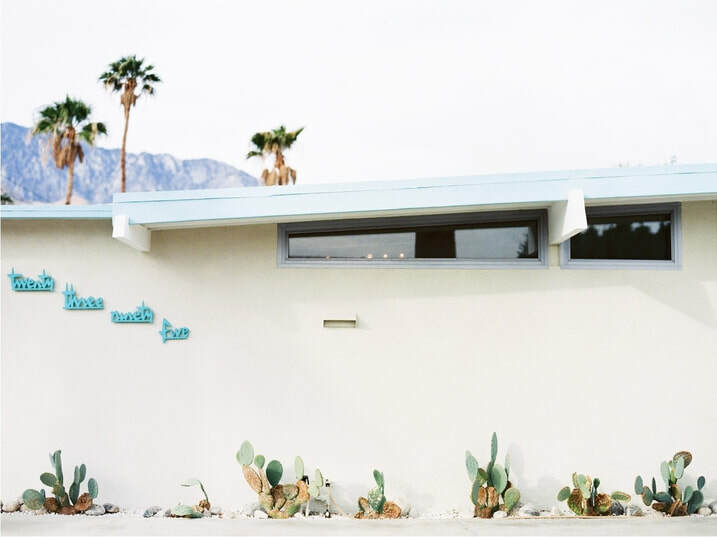 Kurt was well-versed in Desert Modernism as well as Palm Springs itself. I'd recommend doing this tour one of your first mornings as it really helps get your bearings and allows you to return to any of the stops for further explore." Kurt took Michelle Dalton Tyree of Fashion Trends Daily on a tour around Palm Springs you can hear the interview by clicking the image above. ​February is a long ways away, and that's when the first presidential primaries take place. Yes – that means five more months of debates before anyone casts a vote! 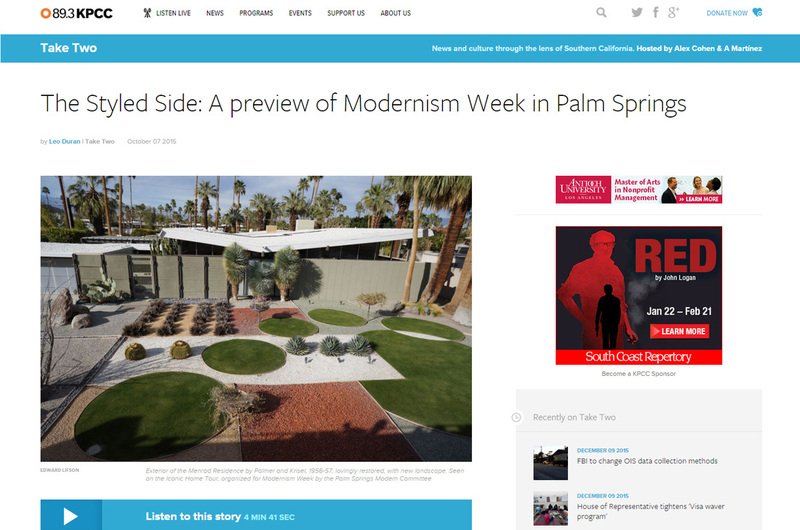 If you want to take your mind off that for a while, here's another thing to look forward to in February – Modernism Week in Palm Springs. The winter event is so large that organizers have a preview of it starting Oct. 9 that includes tours of the Sunnylands Estate, furniture sales and more (basically, it's a mini-version of its big sister). 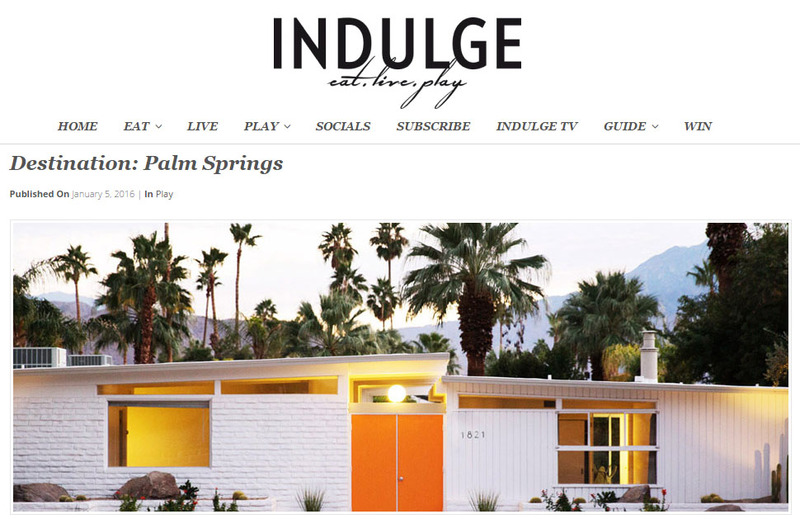 Michelle Dalton Tyree from Fashion Trends Daily explains how Palm Springs modernism has catapulted to one of the top styles in fashion and, at the same time, infused excitement and energy into the local area.